The other day I was working with one of my claims enabled SharePoint 2010 web application and I was logged in as (what I thought) was a site collection admin. 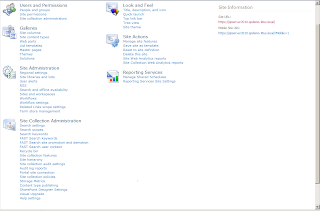 But, I noticed that some of the features that I should have access to on the site settings page for the root site were not available - features like configuring SharePoint auditing and audit trimming. I double checked I was logged in as an administrative user account. -CHECK. I double checked that I was accessing the correct web application URL -CHECK. I logged into SharePoint Central Admin and double checked that my administrative user account was configured as the site collection admin. My user account was set as the Primary Site Collection administrator. -CHECK. So, what was the issue? In an attempt to resolve the issue, I reviewed the SharePoint authentication configuration for my web app. In the past, I have run into issues logging into SharePoint when configured as such if the email address attribute is no populated in AD (Active Directory). I checked the Central Admin site collection administrator configuration again, and found that I had configured my Primary Site Collection admin with the AD username 'SPDEMO\administrator' which normally would work fine in a non-claims enabled web app. So, I decided to try changing it to the identifier claim: administrator@spdemo.titus.local. I logged in again and found the same thing was happening. I would navigate to the site settings page for the root site and would only see links that a site owner would see, and not links that a site collection admin should see. So, it turns out that in a claims enabled web application a site collection administrator needs to have both their AD domain\username and their identifier claim set as the site collection administrator identity. Only if they (the site collection admin) logs into both zones, which isn't typical in a non-SharePoint Administrator role. 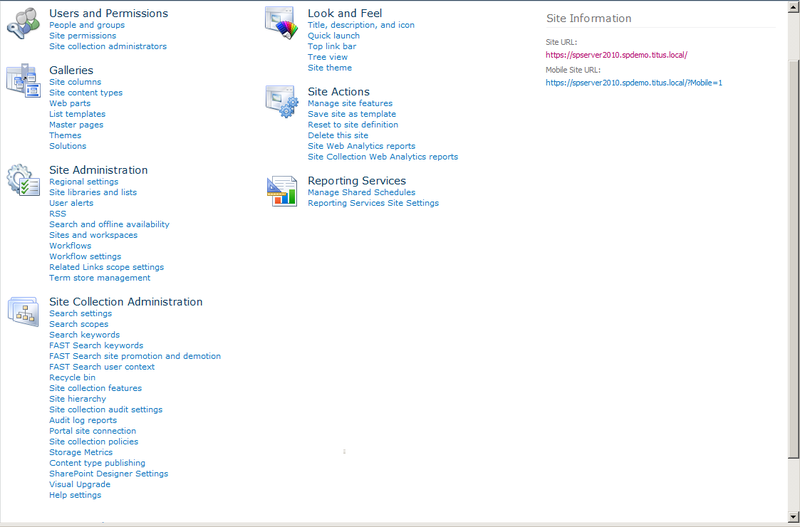 Actually, even a SharePoint administrator has limited needs to log in to the zone used by application users. Other than testing purposes, and I would say use an account (test account or other) that doesn't have the privileges a typical admin account would on the server or SharePoint farm. Using administrative accounts can mask errors that less privileged users would see. Plus, using IDP logins when you are only doing admin work just introduces other variables that aren't necessary. When possible, only login to the Windows auth zone. Get the IIM edge in IFBS, New Delhi.Only B-School with faculty from India's premier B-Schools and an all IIM-A alumni management . Placement network across IITs and IIMs recorded highest avg.placement package in Delhi/NCR.